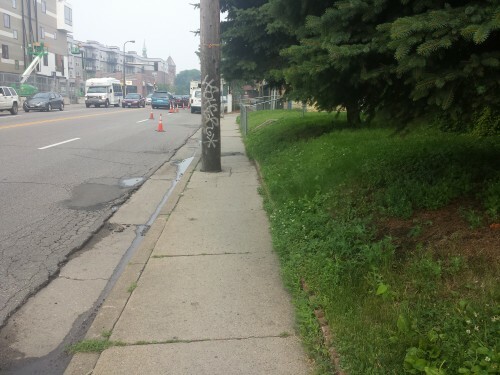 Last month I wrote a short article about ADA compliance on Franklin Ave. in Minneapolis. The focus is more on sidewalks, but the issue of equitable infrastructure remains. From the article: Working-class and poor people get the worst pedestrian amenities even though they are the ones that use the sidewalks the most. These despicable conditions are at its worst in the poorest area of Franklin Avenue. It is no coincidence that these narrow sidewalks are on the edge of Phillips (the stereotypical “bad” neighborhood south of downtown).